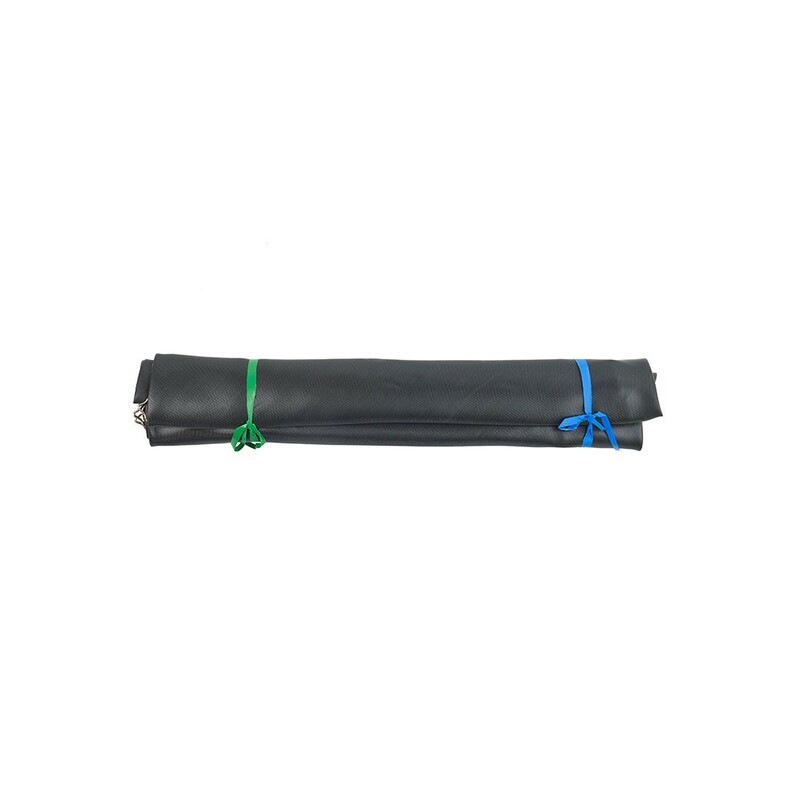 Jumping pad for 4.57 m trampoline with 110 springs of 210 mm. 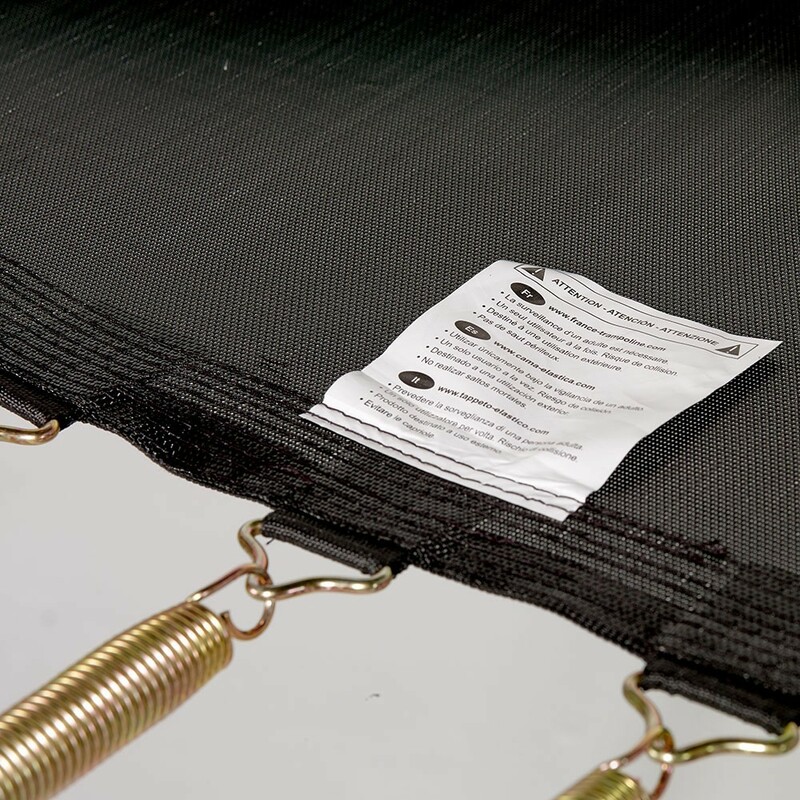 This jumping mat is ideal to replace your old, damaged jumping mat. 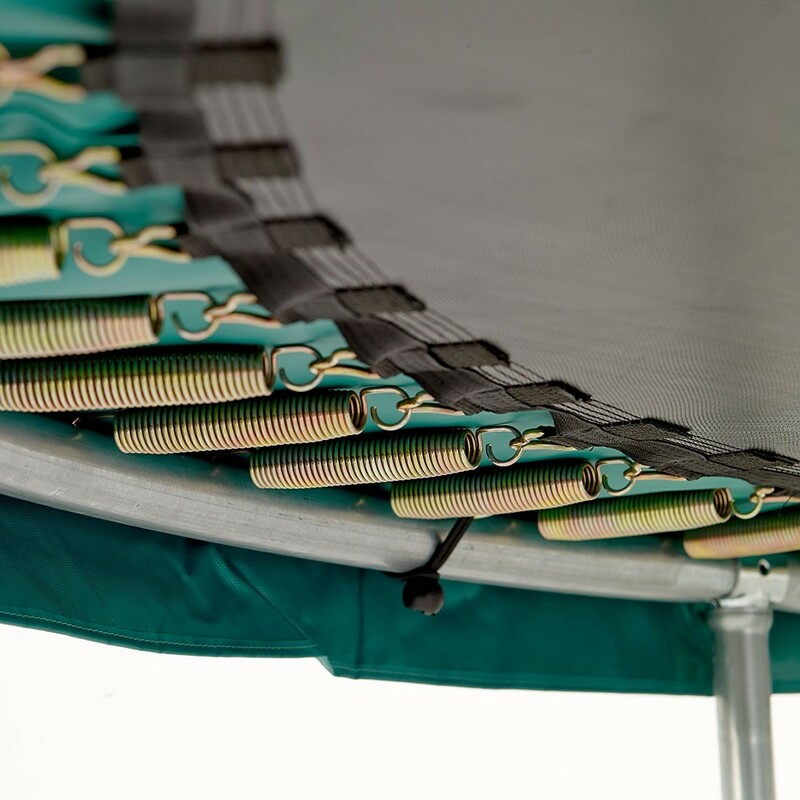 It is adapted to all trampolines measuring 4.60 m in diameter with 110 springs of 210 mm in length. So it can also be used on any trampoline with the same characteristics even if it is a brand other than France Trampoline. - This jumping mat can be installed on any round trampoline measuring 4.57 m in diameter with springs of 210 mm in length. 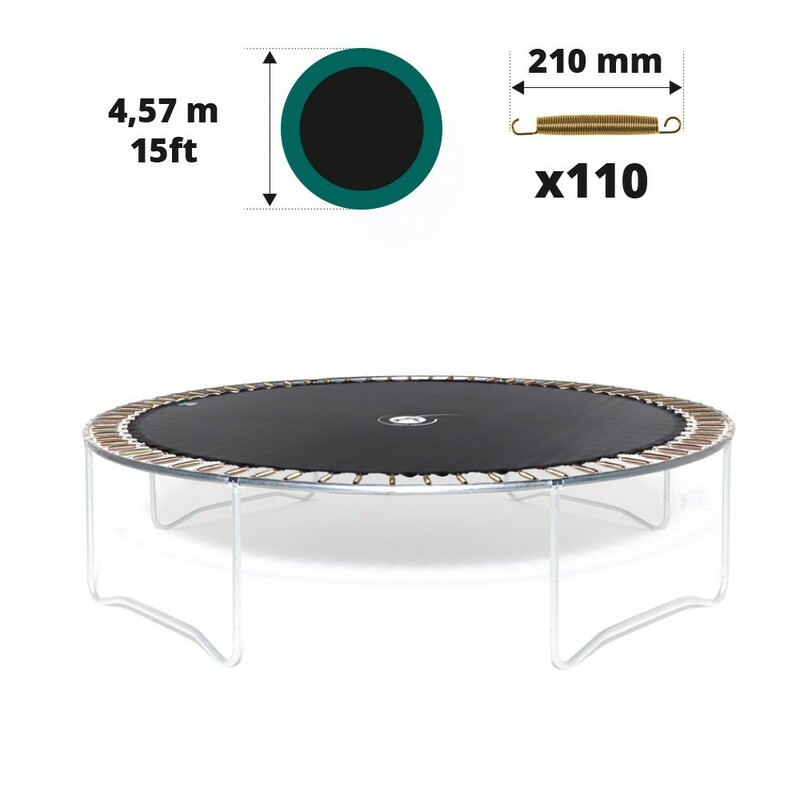 It is important to measure the dimensions of your trampoline precisely to ensure that you order the correct jumping pad. Your measurement will be more precise if you ask someone else to help you. 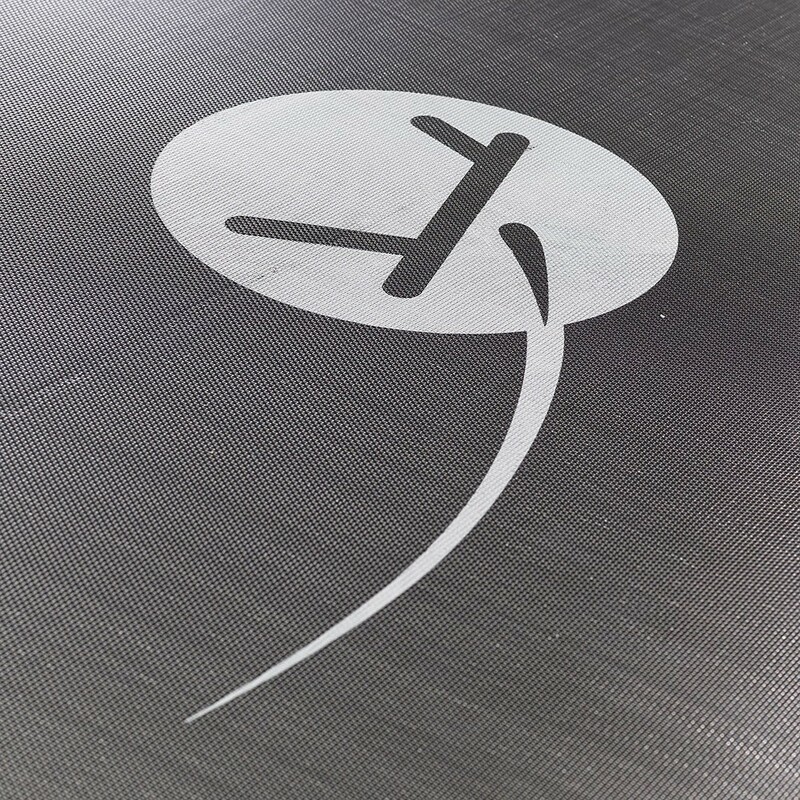 - The jumping mat is designed using polypropylene or a fabric called mesh, which is highly tear resistant. For optimal quality, this jumping mat has also been protected from UV light to increase its durability. 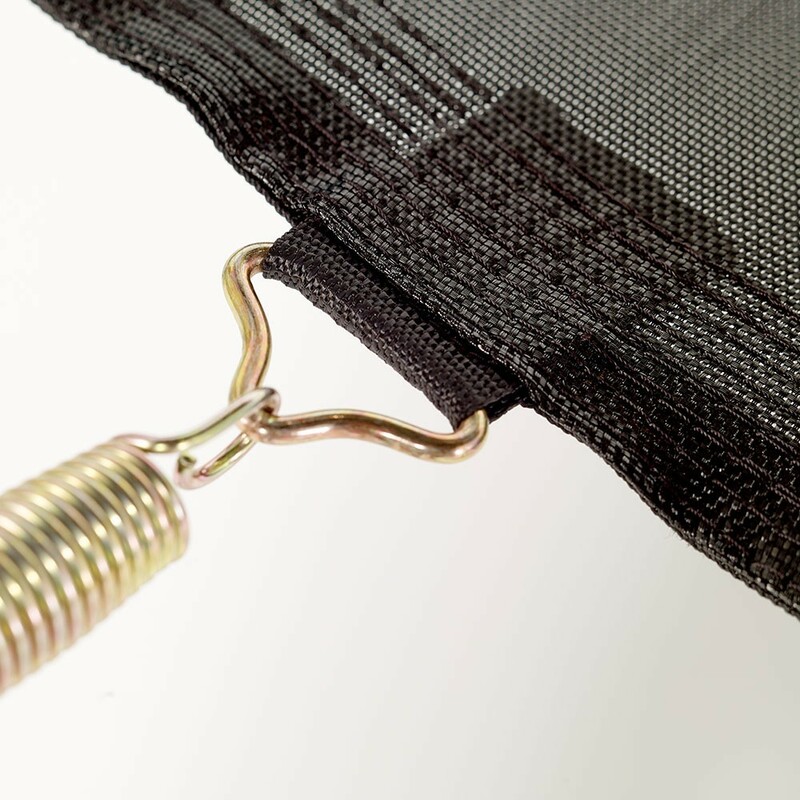 - This jumping mat has reinforced straps in which the springs should be placed. At the end of these straps, hot dip galvanised steel rings hold the springs in place. 8 rows of stitches are used on all of our products to guarantee optimal quality. 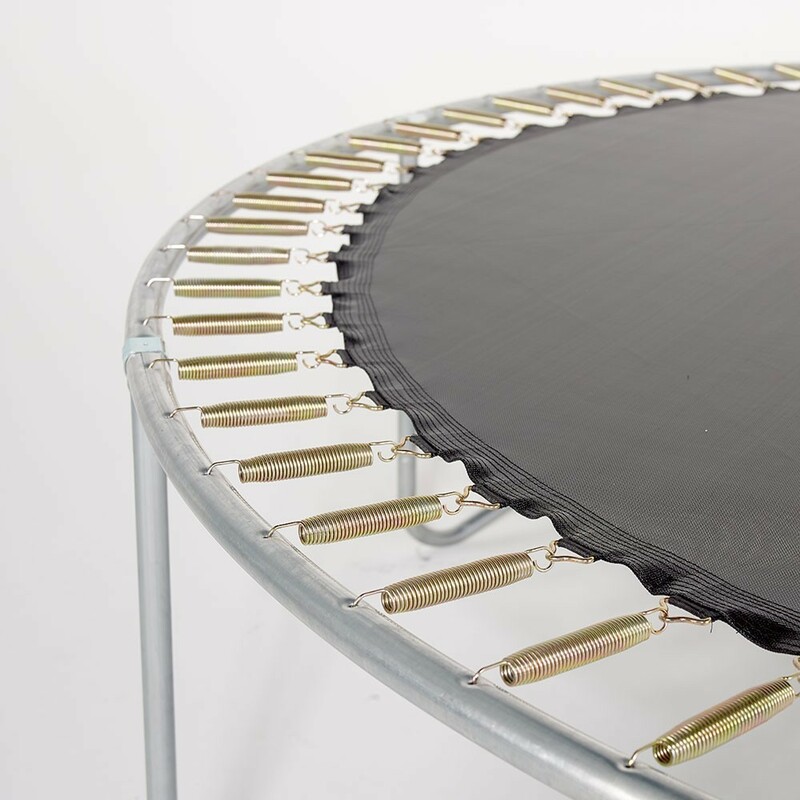 - This jumping mat is adapted to trampolines with 110 springs of 210 mm in length. We can only recommend that you check that this product is perfectly adapted to your trampoline. 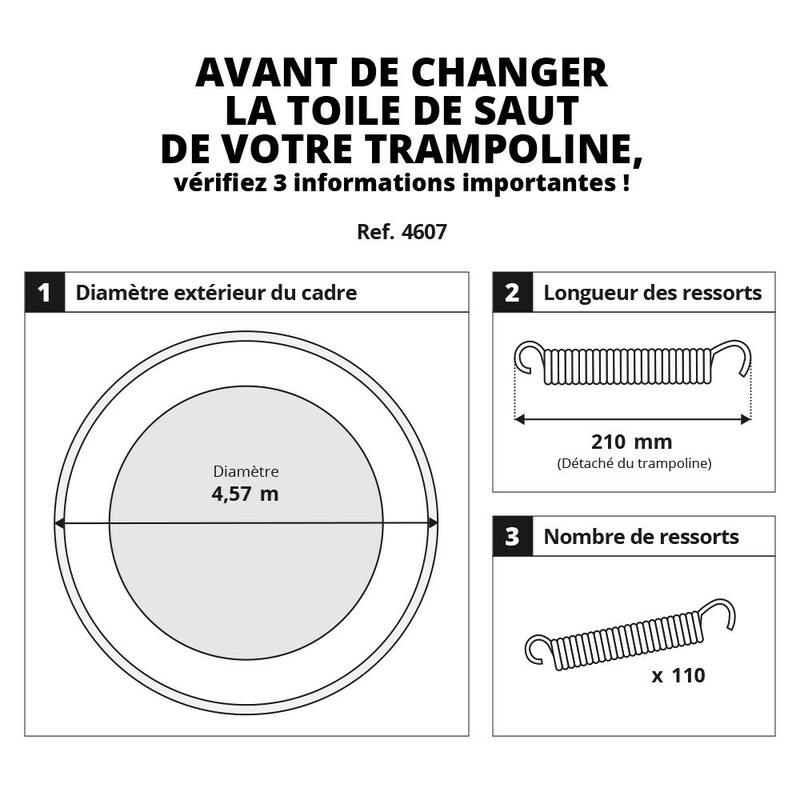 Make sure you remove one of the springs and measure it precisely from hook to hook.